USANA, word! : The amazing Associates who have gone for Gold! The amazing Associates who have gone for Gold! We've been out and about again - Associates and corporate staff were delighted to celebrate reaching Gold director status at special retreat at the aptly named Gold Coast. 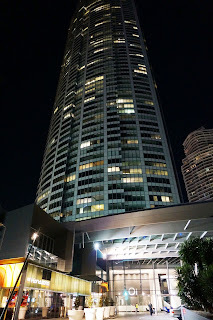 We stayed at the beautiful QT Resort at the world-renowned Surfers Paradise. Having attended quite a few celebratory get-togethers, I felt that this one topped the lot! Bringing our newest Gold Directors from across Australia and New Zealand was very exciting and a real pleasure! I’m not alone in saying that we were all a bit pampered. We were treated like – and felt a bit like – celebrities from start to finish and in-between, too! 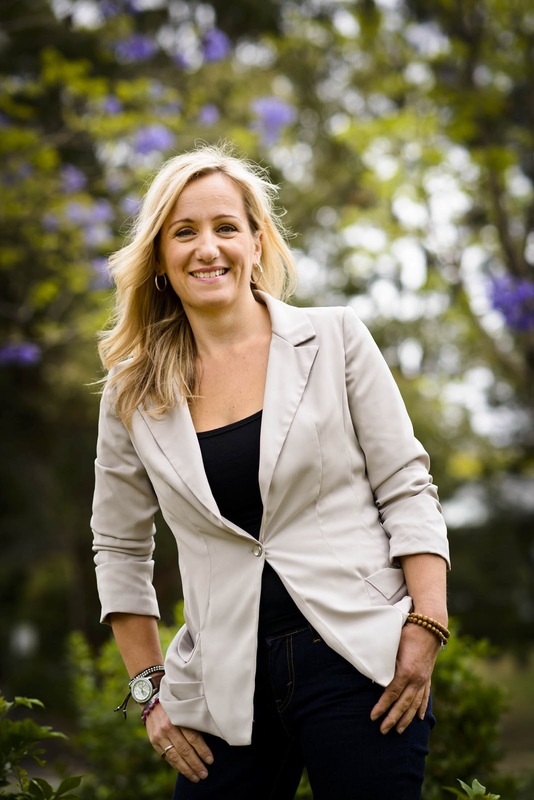 The feedback from our attendees was really positive – a truly a five star experience in fact! OK, we didn’t actually climb up the Sky tower but we did take a glass lift to the very top of the highest building in the southern hemisphere for dinner. Gathering together an extra sprinkling of courage (heights aren’t my favourite thing in the world); I pushed the button on the lift upwards and never looked down! The delicious food was made extra special by the stunning views of the golden sunset. Our Goldies on top of the world at Sky Tower! Other standout features included some incredible training with some of the best in our very special business. 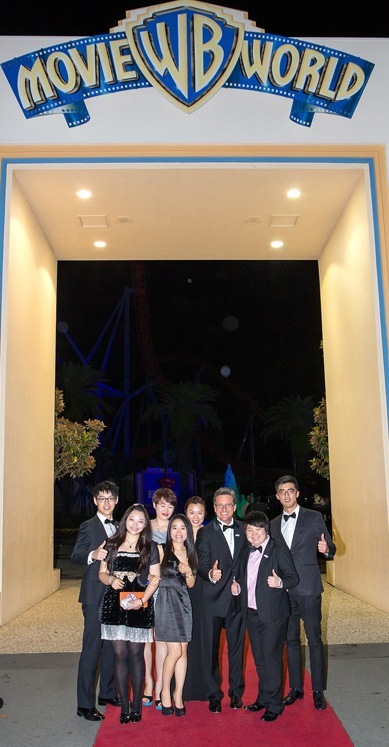 For example, New Zealand’s 5-star Diamond Directors, the dynamic Bill and Jenny Huang (who were also recently awarded the President’s Prize!) shared some of their insightful and intuitive knowledge on how to build better business practices into daily life. Über successful, globe-trotting now 2-star Diamond, Feng Ye shared his special success stories and answered questions in an interactive presentation. 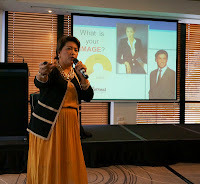 And, the incredible and hugely knowledgeable and enthusiastic couple, WA Diamonds Warren & Jo Naseby shared her wisdom gleaned from years of nurturing a successful USANA business. We also welcomed a special guest – General Manager Duday Gaston joined us from USANA Philippines. Currently the fastest growing market in the world and which hosted the biggest the biggest gathering (9,5000 delegates to be precise) in any USANA even,, Duday’s presentation focussed on a subject that those famous fashionistas, Trinny and Susannah would be proud of – how to dress to impress for business! Duday outlined some simple tips to look sharp, crisp and professional – something our Associates are known for! 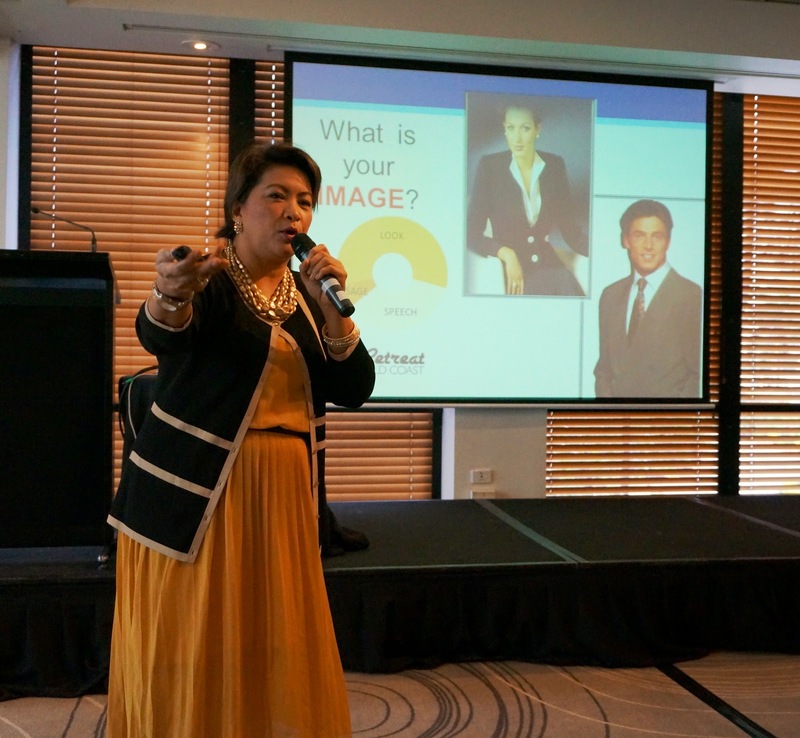 Learning from some of the best in the business, trainings spanned subjects that were both practical and inspiring and were designed to launch business builders to the next stage of their career. Amongst the learning, we had some down time. As well as the famous beach and water fun features and Gold Coast theme parks, I’m not sure, but I thought I saw some of our Associates hot footing it towards the local fashion houses for some retail therapy! Sensational food was always on the menu with a food and buffet bazaar that had a range wide enough to tempt the fussiest and freshest of tastes even me! 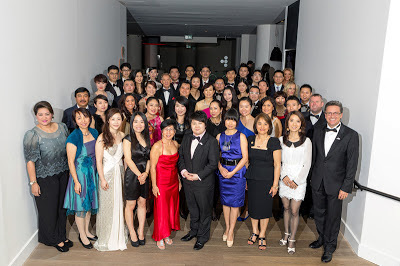 Our Associates were officially recognised for their achievements at a secret rendezvous. And, we got there in style! The stretch hummers waiting for us were filled with fizz and bubby music to transport us to a magical mystery location – it was Movie World! 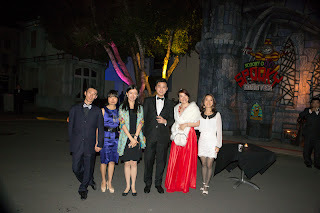 Our Associates enjoying the magic of Movie World! As well as their gifts, delegates were treated to a special personalised bottle of wine – each was labelled with their name as a unique reminder of their achievements. Personalised bottles of wine for our Gold achievers! Getting as comfy as we could in the spooky castle, our Gold Directors received their well-earned accolades in a setting that is sure to be memorable – always! Keep your eyes on these Associates because this group of professionals are heading skywards! It won’t be long before we’re celebrating their growth to Ruby – their desire to progress resounded strongly and positively amogst this elite group of people. 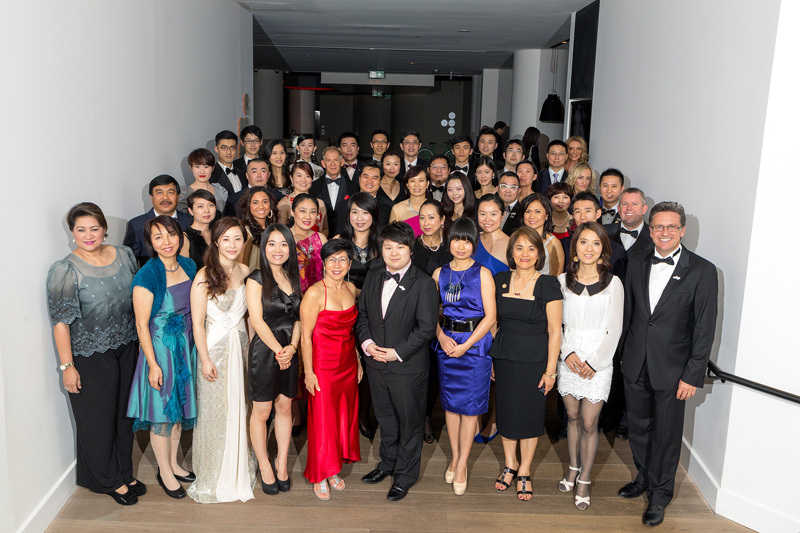 A special Gala Dinner for our new Gold Directors! Thanks for a great and golden get-together everyone. And if you want to meet us at the next Gold retreat, you know what to do!